If this is your first time visiting my blog, welcome! My name is Christine, and I’m a paralegal and an entrepreneur with many interests. I started my paralegal business, Desert Edge Legal Services, in 2007. I figured out how to fight foreclosure based on the facts and evidence using a loan examination process I created. I also set up legal entities, offer statutory agent representation, content marketing, and contract paralegal services. You can reach me at Christine (at) Desert Edge Legal (dot) com. First off, this is not a millennial bashing post. It’s strictly about my personal experience as a Gen-X in the legal field. Last summer I began working with a firm in Phoenix as a contract litigation paralegal. The partners are both younger than I am, and I have been in the legal field longer than they have. They graduated law school during the middle of the recession and didn't have a lot of options for jobs, which is why they started their own firm. Having also started my own business at the start of the recession, we have that in common. It hasn't been easy. The point of this post is this: my experience I have working for them is such a major, profound departure from the law firms I’ve worked for up to that time. It's not stressful and they are not jerks. I'm not saying they are all like this, but if this means there are or will be more lawyers like my clients, it makes me very happy. If you are in the legal field, you might understand what I’m talking about. If you’re not, well, the legal field is extremely adversarial, stressful and toxic. It takes a certain type of person to stomach litigation and to not allow it to poison their lives. I won't go into why litigation is so stressful, but there is a reason that alcoholism and suicide rates for lawyers are so high. Being a staff member for a stressed out lawyer can be rough, too. I’ve worked for screamers, verbally abusive lawyers, sneaky and manipulative lawyers, both men and women. I got better jobs and worked with better lawyers each time I went back to school, but the expectation of "hustle" never changed. And now, I see my career in two distinct eras: the “old school” era and the "new way of doing things." I am not sure if this is just a midlife transition thing, or if it's really a new energy thing, a shift in the way things are done in the legal business. Many (not all) “old school” lawyers are the stereotypical Type A people who still think that you’re not doing it right unless you are hustling and working 20 hours a day. No judgments here -- this is just how lawyers were taught to be successful. It’s what was modeled, and you just became that way too, to fit in and to adapt. If you didn’t want to conform to that, you either didn’t get into litigation or you got out of the legal field completely. -They are more heart centered. -They care about people, fairness and doing what's right. -They are egalitarian – no huge egos or dominance behaviors. -Their work-life balance expectation means you don't work late nights unless there’s a deadline, but you'll probably be able to reach them by text on the evenings and weekends. -They might take you to lunch before your deposition (clients). -Millennials get a lot of flack about needing approval but in my experience, they will also tell you how much they appreciate you. And really...who doesn't LOVE a compliment or appreciation? Haven't we all worked at thankless jobs with few benefits outside of a paycheck? -They try to do everything on their own. -They might resist "old school" ways of doing things but when they get used to the idea, they are often relieved to learn they don't have to do it all by themselves. They aren't necessarily opposed to doing things the old way, but they often don't know how to do it the old way. You can offer to show them but don't be insulting or rude. -They are collaborative and like to work in teams or groups. -They can't stand a hostile work environment and don't tolerate petty behavior from their staff. -They actually listen to your input and may want you lead the way, especially if they aren't used to doing it that way. Why is all this important? Well, because in the next 10-20 years from now, they'll be involved in politics and major decision making roles about how things are done. If you're a Boomer, you should be relieved that these kids will be influencing policy decisions in your golden years, because they're a lot more compassionate than previous generations. In another 10-20 years, we won’t be having discussions about cutting Social Security, because this generation doesn’t think that way. The toxic legal field that I’ve worked (and love) in is changing and it's exciting! If you're a woman or a person of color, you can expect that to improve. And if you are a consumer looking to hire an attorney, a millennial attorney will probably be a good advocate for you because they do actually care about fairness and getting a good outcome. Boomers and Gen-Xrs can continue working longer, if they want or need to. Employers that struggle with millennial employees will have to do more to attract and retain older workers. This is a good thing, given our youth obsessed culture. 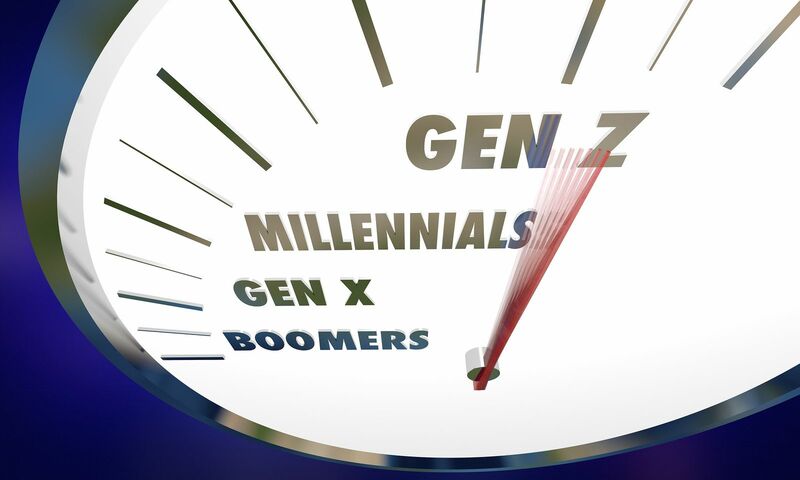 Employers that don’t like the millennial work ethic can hire an experienced Boomer or Gen-Xer. It was weird to me that I wasn’t the youngest person in the office anymore. And I did find myself being judgmental of the way some of the things are done. It was super confusing at times, and I was dealing with my own issues around getting older. There was an adjustment period, which is normal. And they were willing to compromise too, which was also a new experience. We are in the middle of an unprecedented social and economic restructuring in the United States. I personally think that millennials and the generations after them were born already in alignment with the new heart-centered energy on the planet. Boomers and Gen-Xers are just in the process of adapting to new ways of being and working.